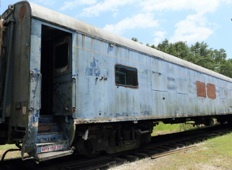 Preserve the Venice Depot's Circus Train Heritage! 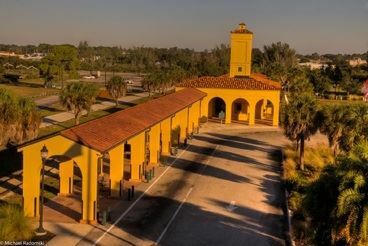 Both the Gulf Coast Community Foundation and the Kathleen K. Catlin Foundation at the Community Foundation of Sarasota County have awarded significant grants to VAHS to help preserve the Venice Depot's Circus Train Heritage! VAHS welcomes Gulf Coast and the Community Foundation as partners in preserving Venice's Circus and railroad heritage in a visible and exciting way. For more information about the project, see the Circus Train Page. Pictures of the circus car's renovation and its prior move to Venice. VAHS is grateful to master craftsman Bill Dovel for creating a scale model of the Venice Circus Arena to be displayed in the Circus Train Car. Steel roof has been replaced with two layers of vinyl providing a 10-year warranty. The underlying steel roof was found to be in excellent condition. Side 1 as of November 2018. Side 2 as of November 2018. Corner detail as of November 2018. Short Leaf Pine in early morning fog before move to Venice on 12/22/16. Car is raised with jacks, and orange metal girders and wheeled dollies are placed under it. Each dolly has eight wheels. Car is prepared for departure. Front-loader pulls the car onto the road. The car is connected to the Johnson & Sons cab with counter-weight behind it. Before departure, Johnson & Sons employees secure air brakes and electrical connections for brake lights. The Short Leaf Pine departs for Venice under bright sunny skies. The car straddles Spur Avenue in Venice before being pulled into the yard of Uni-Glide Trailer Company. VAHS members celebrate the arrival of the Train Car. Johnson & Sons employees lift the car with jacks and prepare to remove dollies. The dollies are pulled out from underneath the car. The car will rest on these supports while it is being refurbished at Uniglide Trailer Company. 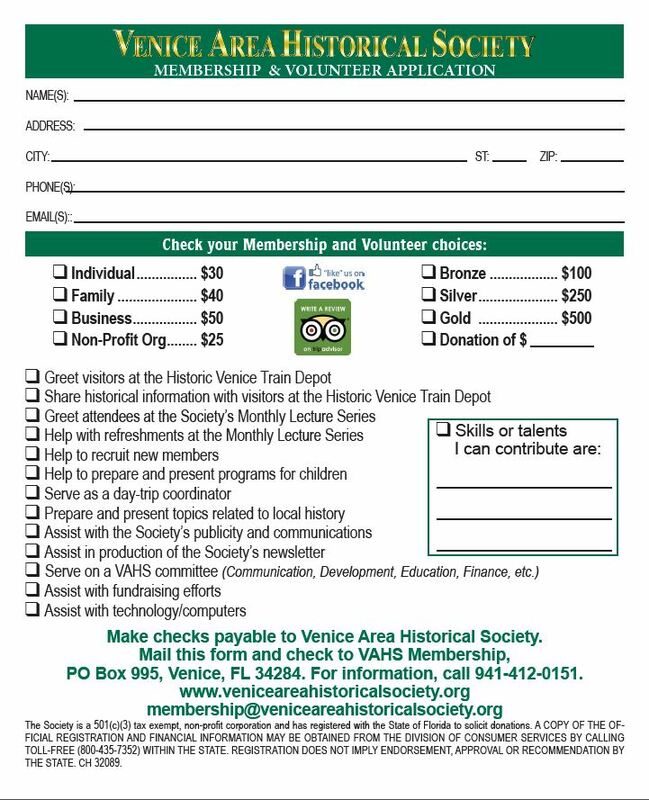 If you are considering a trip to the Historic Venice Train Depot, either for yourself, your family and friends, or a large group, check out relevant information at The Depot. We Need Your Help! Fundraising is ongoing for the Circus Train project and VAHS programs. There are many benefits to becoming a member of VAHS. All members receive both the Society’s newsletter and first-hand notification of Society events. Members also participate in Society decision making by attending member meetings. To become a member of VAHS, download this Membership Brochure.